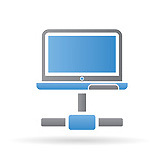 Protect your business-critical information against unauthorized access. At Kdatacenter Managed Hosting, we aim to provide the highest levels of protection and security for your dedicated server. 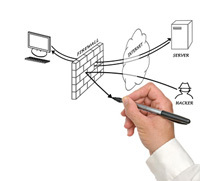 A dedicated firewall means we will set up your own, invidual firewall on your server. It will only be used by your server; it will not be shared with anyone else.As well as providing extra security, it also gives you full control over your firewall security configuration. You can set it up to meet your organisation's security policies, and update or change your firewall configuration whenever you like. It also means you can securely set up VPN connection to your server. Next Generation Firewall is a new uprising trend in the security market. AXGATE Next Generation Firewall Series provides "User Based Authentication" which provides enhanced protection to the users and easy ID based management. AXGATE Next Generation Firewall Series comes from SOHO size to enterprise guarantees to secure the network regardless of structure or environment. With more than 10 years of experiences, our in-house technology, AXGATE Series ensures to bring much greater performance than other peer devices.